With the explosion of connected mobile devices and cloud computing, both internal and external users are trying to access information stored beyond your perimeter. How does an organization authenticate such a large and diverse pool of users on a continuing basis as well as keeping the “bad guys” out? What about ongoing privacy concerns? 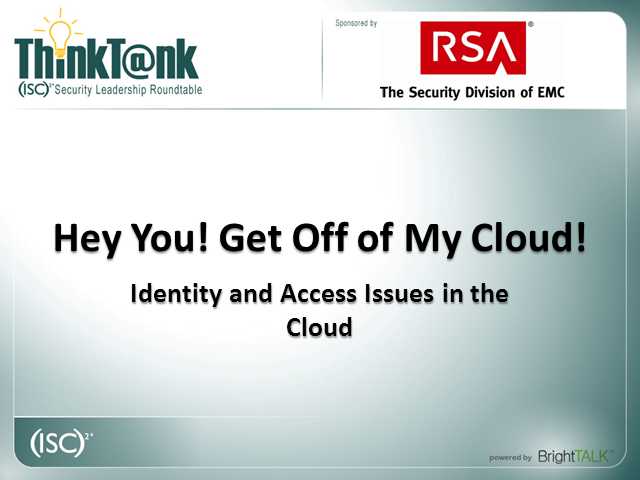 Join (ISC)2 and RSA Security on May 24, 2012 at 1pm Eastern time for a roundtable webinar discussion about IAM, the Cloud, protection strategies and compliance requirements.